Incredible easy-to-use animated treatment models with powerful 360-degree views. 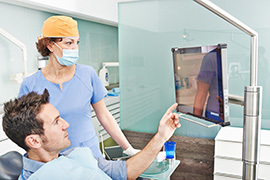 instream SHOWPLAN is the ultimate chair-side educational video solution for dental treatment and consultation rooms. This powerful software application uses interactive 3D graphics that enable patients to easily take control of animations and understand in seconds what a treatment plan entails and the impacts of not following through. Take control of 3D treatment models by rotating 360 degrees, zooming in, etc. Available on PC and Mac (available soon). 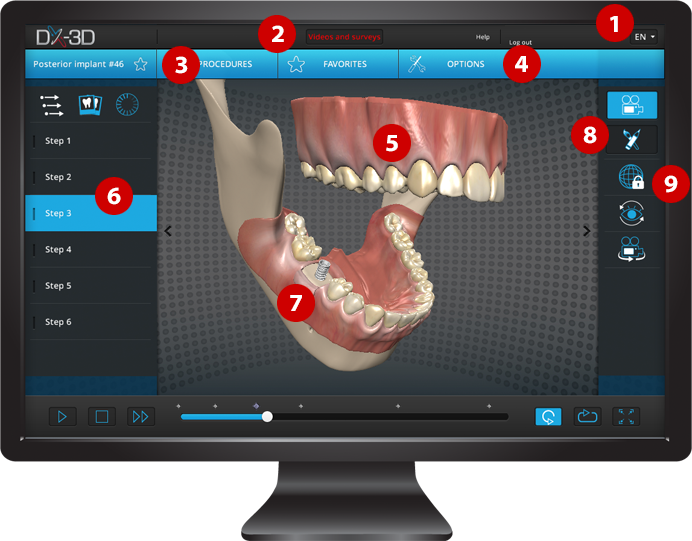 instream SHOWPLAN gives you fully interactive 3D models of the top 30 treatments used most frequently by dentists today. 3D treatment animations can be shown from any PC as an essential chair-side educational tool. Each animation is designed to help your patients more quickly understand the nature of an underlying problem, what you are recommending, what will happen if the condition remains untreated, and the entire procedure from beginning to end. Every day you have to explain various treatments and procedures to patients with increasingly short attention spans. Actual photos of a problem and dental treatment are very static and they can be offputtingly graphic if not traumatic for some patients. Conventional X-rays are still useful for confirming a problem. For visualizing complex procedures in an era of high impact multimedia, these are stone-age tools. Today, patients of all ages expect high impact graphics. Increasingly they expect an interactive experience – the ability to control the presentation and focus on what they want to see. instream SHOWPLAN is the answer. Why Not Start Your Free Trial Now? Start using instream SHOWPLAN with full functionality right now. No payment is required to start your 30-day free trial. No training. Just download and start enjoying! Zoom in. Zoom out. Move up, down, or around. You are in control. Each 3D model uses advanced HD graphics to show the problem and the recommended treatment. You or your patient can stop the animation at any time and change the viewing angle to see exactly what you want. Simply click on the screen to change the view – zoom in, zoom out, move up, down or turn the image around. Choose a 3D model from the top 30 treatments used most frequently by dentist’s today. Easily customize your screen presentation with Options: display background, English or French, sound effects on or off. Right click to view the 3D model from any angle: rotate 360 degrees, up or down. Use paint brush to circle or highlight areas of interest in different colours. Lock the animation in a specific position. instream SHOWPLAN includes a library of 78 traditional (non-interactive) high-impact educational 3D and 2D treatment videos. Choose short form or long form presentations depending on your patient needs. Video clips are great for providing additional information and reinforcing your treatment recommendation. Use instream SHOWPLAN to send patients 3D and 2D video clips to help them make a more informed decision without increasing anxiety. Patients can replay animations to become more comfortable with the recommendation while eliminating the need to go elsewhere for additional information. instream SHOWPLAN the only chair-side application that includes a built-in survey tool for quickly and easily capturing feedback on the patient experience. 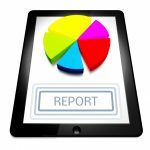 Our clinical trials revealed that most dentists want the ability to administer anonymous surveys because few patients will reveal what they are really thinking, especially if they had a problem or concern. 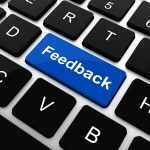 Anonymous surveys enable you to get the candid feedback you need. Choose from a list of ready-to-use questions or create your own. Simply email your short survey to patients following a consultation. Once your customer answers questions and emails the survey back, instream SHOWPLAN automatically provides statistics for all patients on one page. Breakout data and comments by treatment room to get very precise feedback about patient experiences in your clinic. Our clinic trials with instream SHOWPLAN revealed that patient care quality went up when the healthcare team knew anonymous surveys were being used. Service provided by staff went up by a nudge simply because patients would be answering a survey about their in-clinic experience. The other good news is that patients often provide helpful suggestions in the comment section. 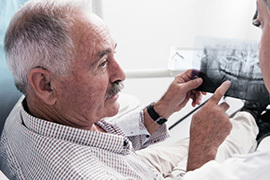 This is invaluable for helping your dental office improve the overall patient experience. Start using instream SHOWPLAN with full functionality right now. Use our scheduler by clicking on the button below to select the time and date that is most convenient. Purchase your Subscription online today! Click here to purchase your instream SHOWPLAN Subscription in a few easy steps.